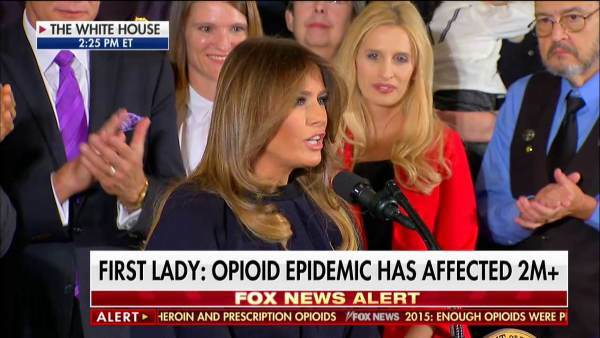 Our lovely First Lady Melania Trump gave a heartfelt speech from the White House on Thursday about the opioid epidemic ravaging our nation. The First Lady turned around to acknowledge a woman who was a recovering addict and gave her a kiss on the cheek. Melania Trump is beautiful inside and out. We are so blessed to have her as our First Lady.